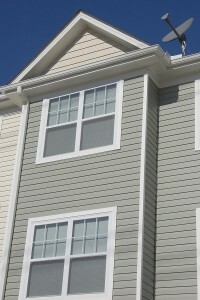 When you need a vinyl siding installation in Pensacola, Florida, Majors Home Improvement would love to be of service. We are a local, family-owned company that was established in 1997 to provide quality home improvement products to homeowners throughout the Panhandle area. We hold an A+ rating with the Better Business Bureau, and this distinction is proof that our customers and their satisfaction with our products and services are a top priority. Our installers are highly trained and experienced, and adhere to strict customer service guidelines. You can expect a precise installation and that they will treat you and your home with respect. What’s more, we’ll provide a warranty to protect your investment. So, when you want to hire the best company in the Pensacola, FL, area for your vinyl siding installation project, contact Majors Home Improvement today. When you do, feel free to inquire about our financing options for qualified homeowners.